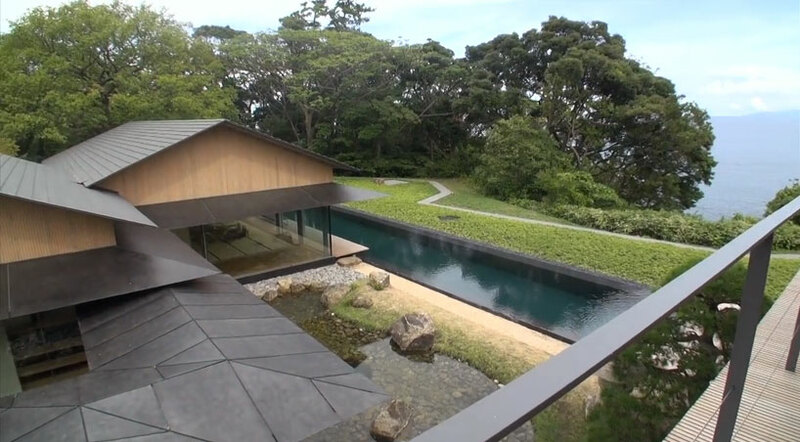 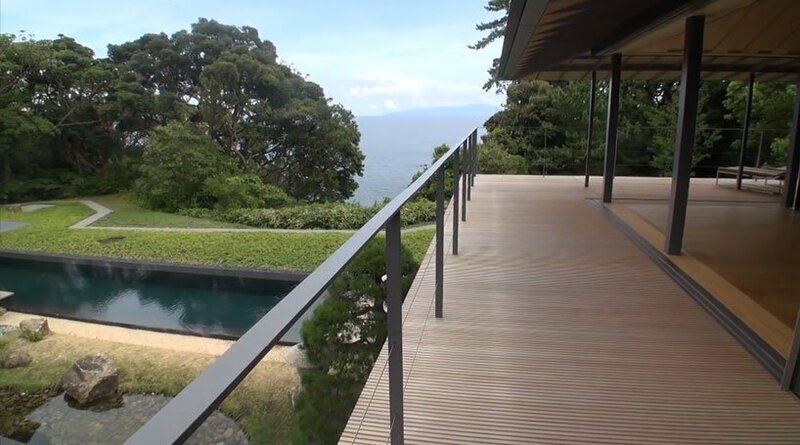 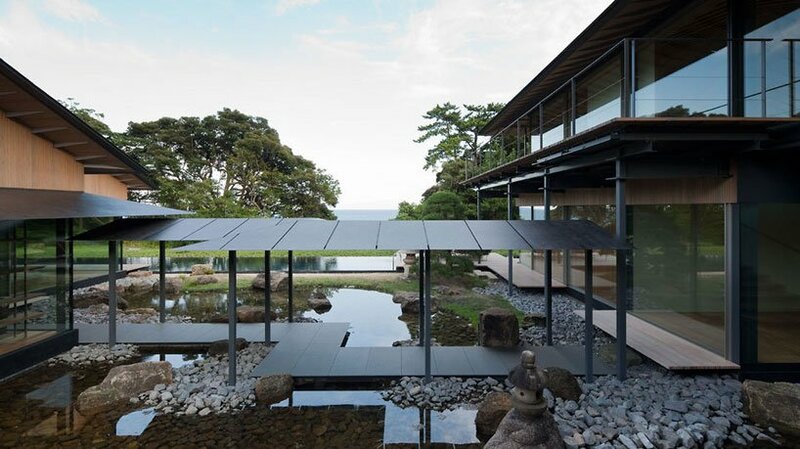 located in a natural park at the top of a cliff overlooking the eastern coast, the ‘water cherry house’ by japanese firm kengo kuma reflects the intricate delicacyof its pristine environment in the subtly decisive morphological moves of the structure. 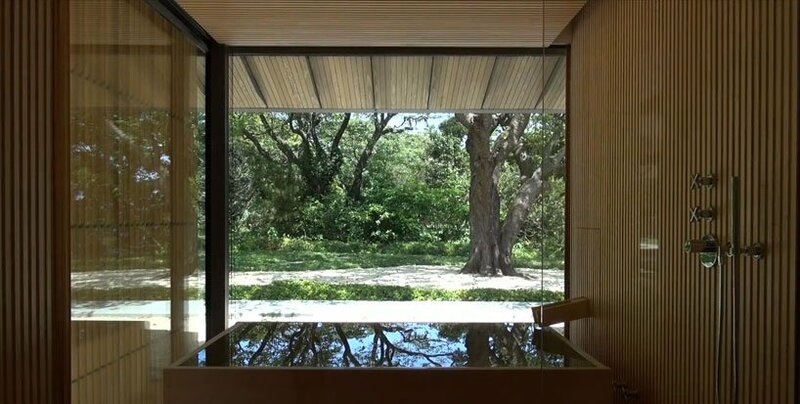 as shown in JA+U (Japan Architecture+Urbanism, the private residence is composed of a series of gabled-roof units tied together by an exterior pathway that holds a strong relationship to a natural water feature. 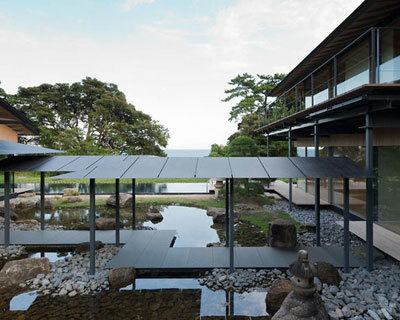 extremely slender metal frames and walkways coupled with the near absence of primary structure creates the impression of flotation, emphasized by the expansive glass envelope that mirrors the sky and trees as they disappear into the ocean’s horizon. 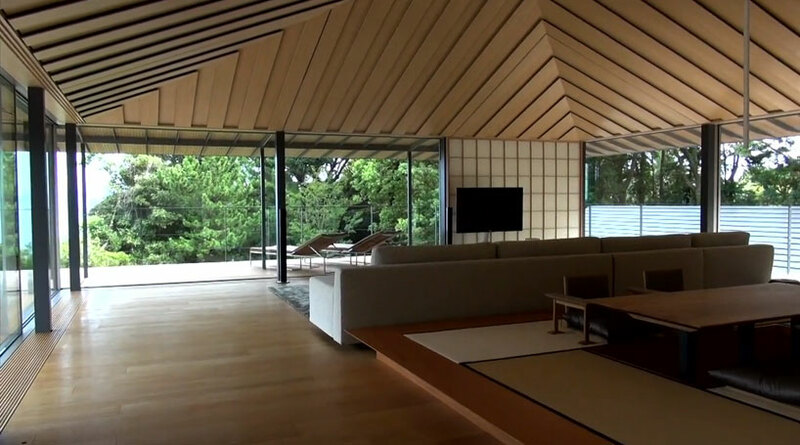 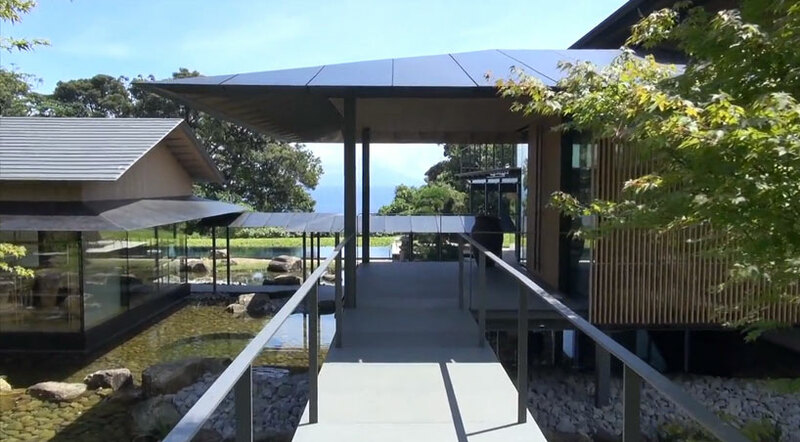 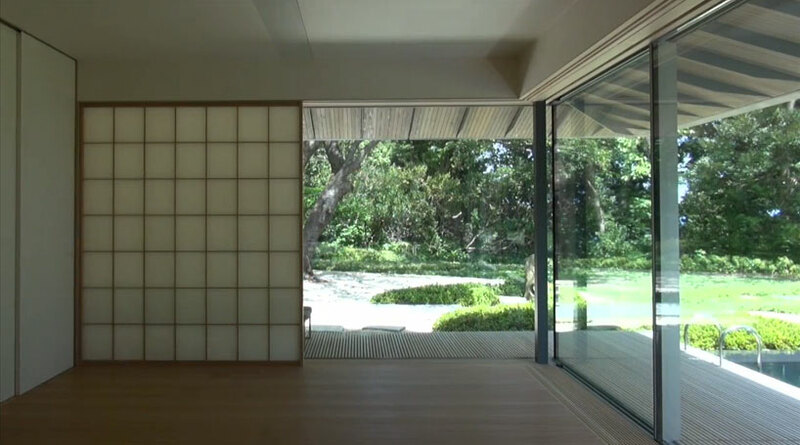 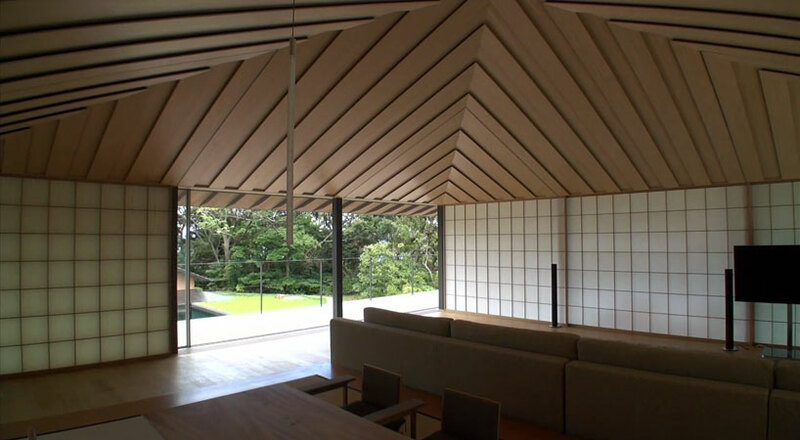 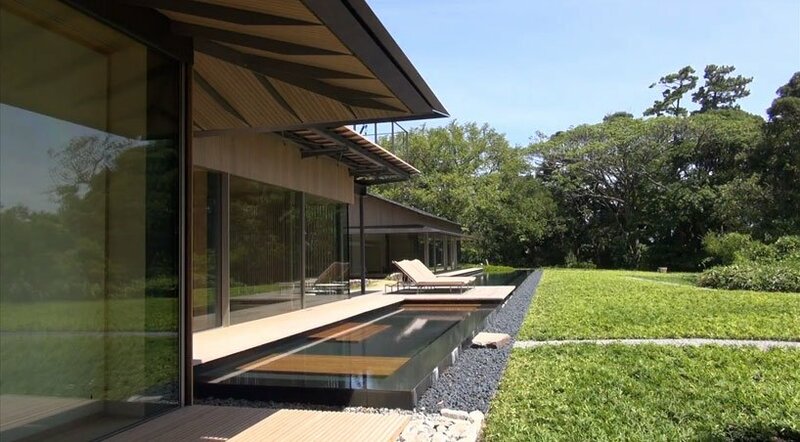 thin wood planks define the underside of the overhanging eaves and the exterior wrap-around terraces, interrupted by the tatami-proportioned single-volume interiors with retractable rice paper walls and patterned ceilings. 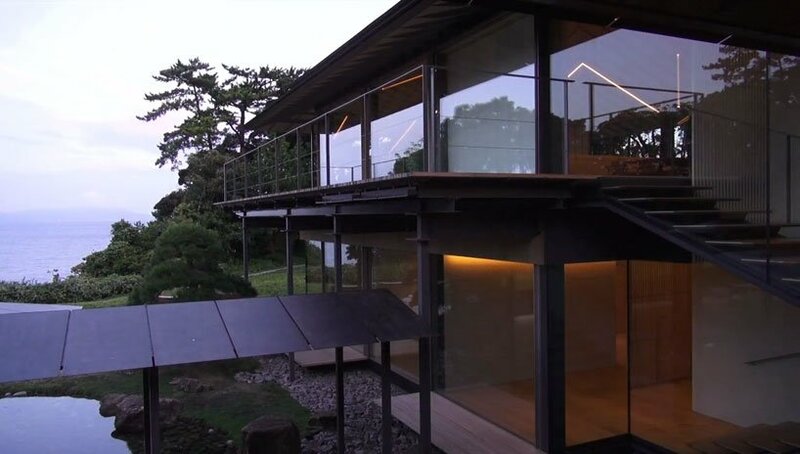 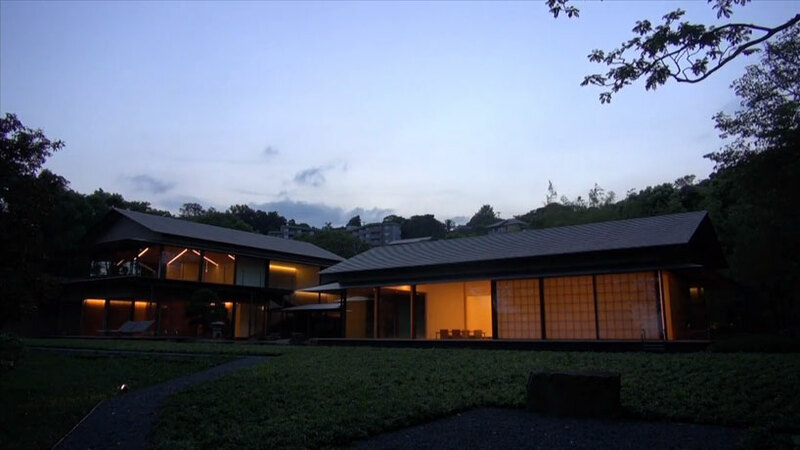 wow, a large house in japan..